Our Joshua model is the ultimate in luxury. 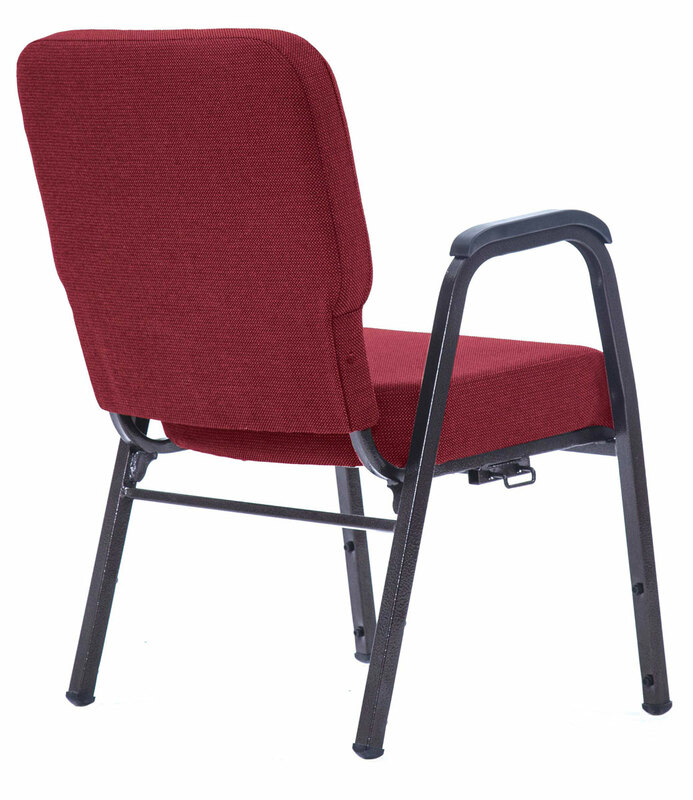 With added chair arms for extra support, your congregation will be sitting in comfort through the entire service. The Joshua Contour Arm Chair brings you the comfort of a luxury chair for a reasonable price. Our ergonomic contour back adds extra support, while our signature PolymerTough™ material gives a lightweight feel. The sturdy steel frame and true mandrel bends provide extreme durability. 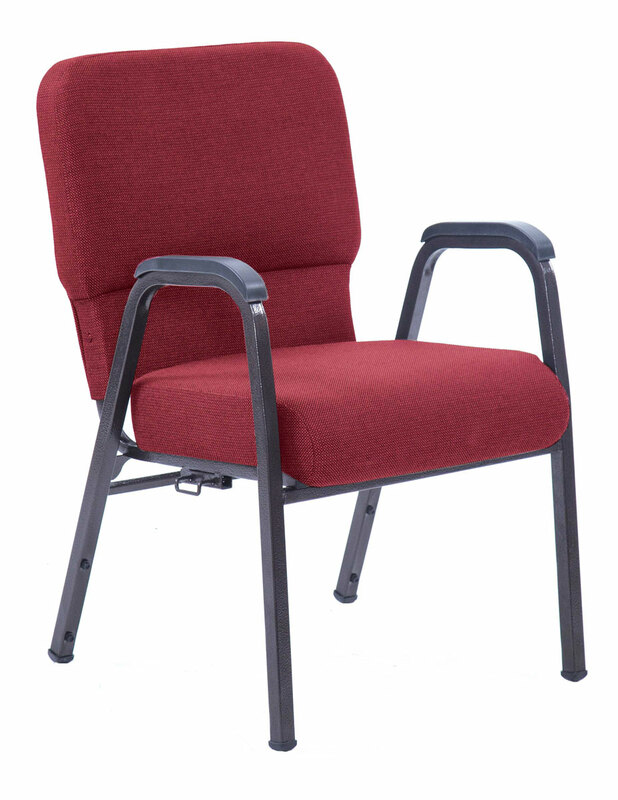 Also available as a Pew Chair, the Joshua Contour Arm Chair is sure to please your entire congregation! Ergonomically designed contour PolymerTough™ back. 3 ½” dual layer virgin foam seat. Cold rolled 1010, 16-gauge 1” steel frame supports more than 1700 lbs. 5/8” cross bars, 1” weld lines, and true mandrel bends. Steel-to-steel T-Nut fastening system has 5X the holding power of wood screws, and is stronger than the Bos steel-to-plastic fastening system. Textile Restricted Substances List regarding formaldehyde emissions. Frame is finished with chip-resistant electrostatic powder coating. Upgraded, self-leveling floor glides to ensure level, non-rocking stance. Learn more about the features and accessories included with every ChurchPlaza chair. 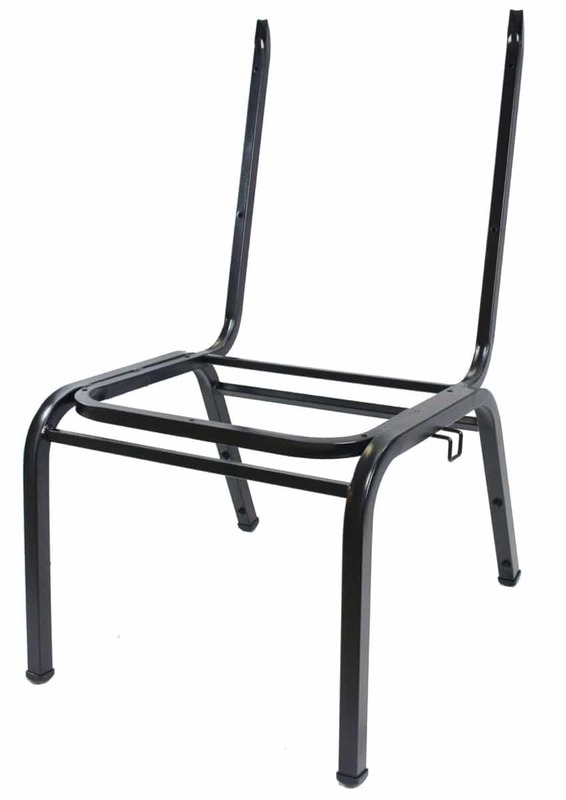 All of our chairs come with warranties on the frame, seat, back, upholstery, and foam. Quality, value, and trust is what you can expect from ChurchPlaza. View detils of our comprehensive product warranty. Looking for information on measurements and dimensions? View the product spec sheet for our armless Joshua Contour Chair. Both of our Joshua chair models have the same specs. Not sure where to start? For your convenience, we’ve created The Ultimate Guide to Buying Church Chairs. We explain everything you need to know about the anatomy of a chair, and how to tell if you’re getting a quality product. Access the Church Chair Buying Guide.